2018 Stamping Brochure Now Available! 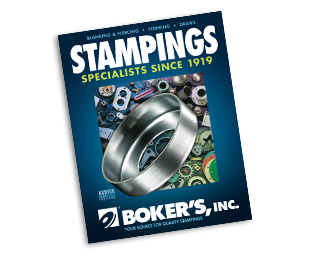 Serving as a valuable industry resource, the brochure provides a comprehensive overview of Boker's stamping capabilities. With nearly 100 years of experience in precision metal stamping production, Boker's satisfies complex, intricate stamping applications. Designed as a quick-reference tool, the Stampings Brochure contains a glossary of more than 100 common terms and a base element index, as well as a gauge decimal equivalents chart. 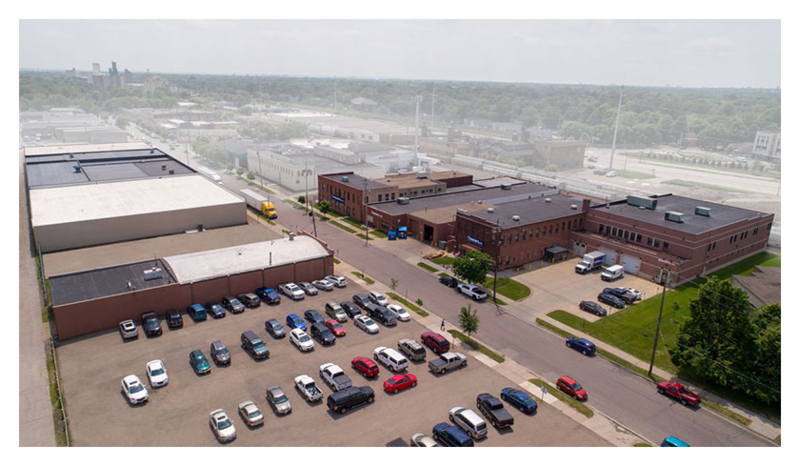 In response to growing customer needs Boker's announces the expansion of their manufacturing facilities. 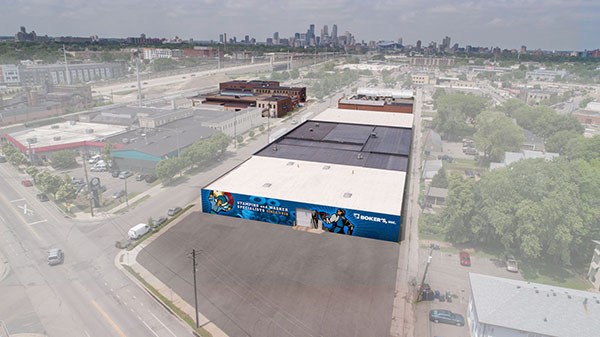 The expansion project began in March 2018 and is projected to be completed by December 2018. 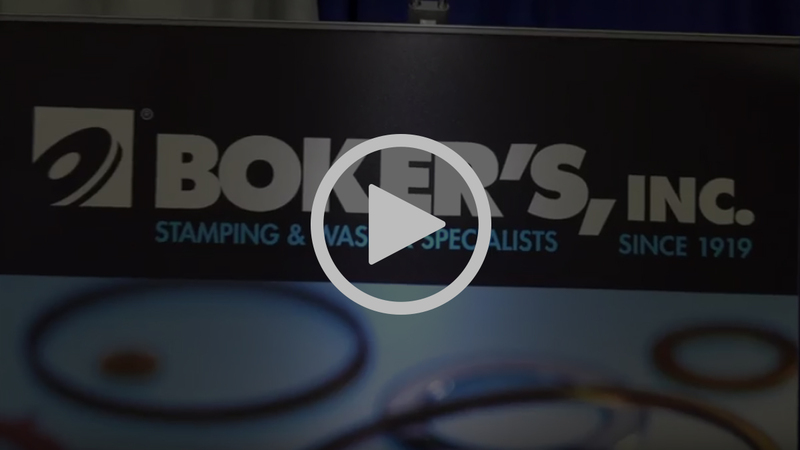 Here at Boker's we strive to keep our manufacturing process on the leading edge by continuously improving technology and manufacturing techniques to provide our customers with the best components available at an economical cost. 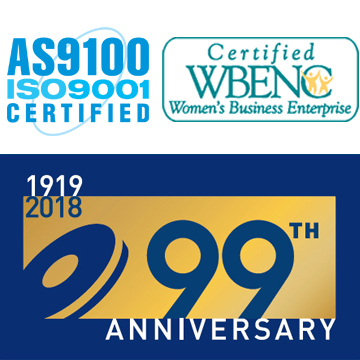 In addition to expanding our manufacturing facilities, investing in capital equipment and providing our staff with continous manufacturing education Boker's has maintained AS9100/ISO 9001 certification â€” currently at the AS9001D(2016) based on ISO 9001:2015 level. 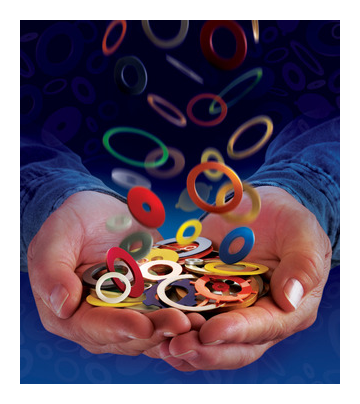 With these additional sizes, Boker's now offers an expansive line of over 32,000 non-standard flat washer and spacer sizes with no tooling charges. 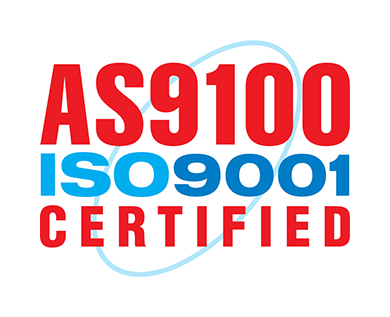 These tools can be searched by OD and ID online at bokers.com. Use our promo code "SPECIAL714" for a free expo pass and 20% off conference pricing. Metalforming companies anticipate an improvement in business conditions during the next three months, according to the August 2018 Precision Metalforming Association (PMA) Business Conditions Report. Prepared monthly, the report is an economic indicator for manufacturing, sampling 112 metalforming companies in the United States and Canada. The August report shows that 29% of participants forecast an improvement in economic activity during the next three months (up from 24% in July), 62% expect no change (compared to 53% last month), and only 9% anticipate a decline in activity (down from 23% in July). Boker's is a proud sponsor of the Brainerd Lakes Chapter of "Let's Go Fishing," an organization that enriches the lives of seniors 55 and older and their families through free fishing and boating activities.